Yes, it's true - now that i have some time off I just can't stop stamping, coloring, fuzzy cutting, assembling... I even dreamt of making cards during the last nights. Seems I missed crafting a lot. 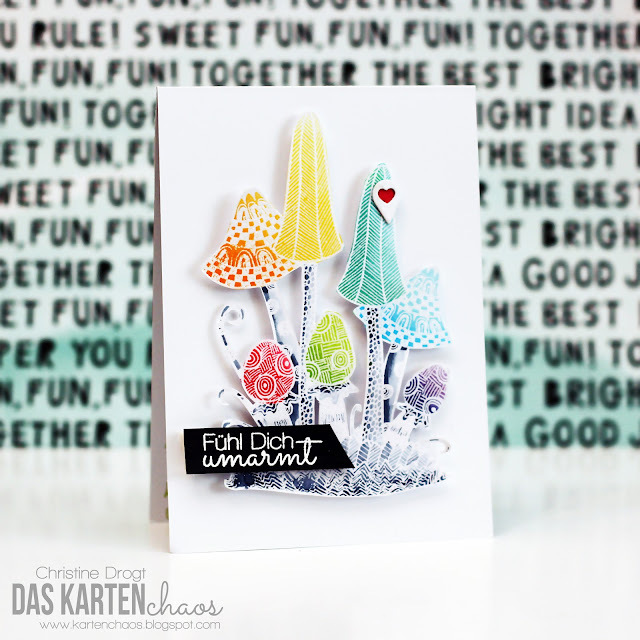 Another new stamp - that mushroom stamp from Personal Impressions' Zentagles series is just adorable. Still it's pretty dark if stamped in black, so I knew white embossing and a rainbow would look good on it. I loooove how this turned out, even if fuzzy cutting took some time. 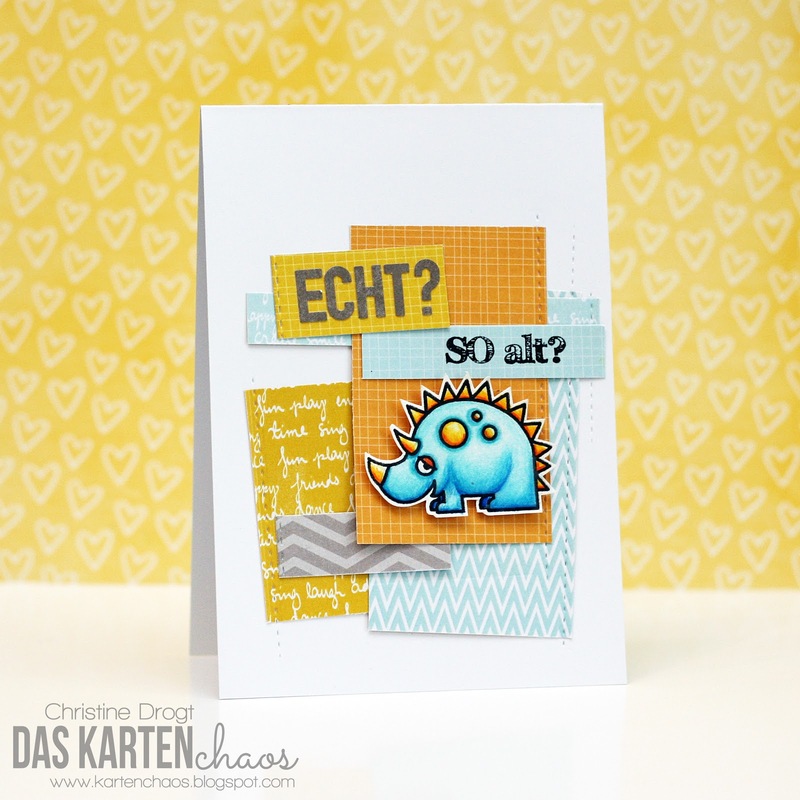 The sentiment is from Create A Smile's "Hey Quatschkopf". I practiced my Polychromos coloring last night and I think this little dinosaur-like monster by Paper Smooches turned out nice. 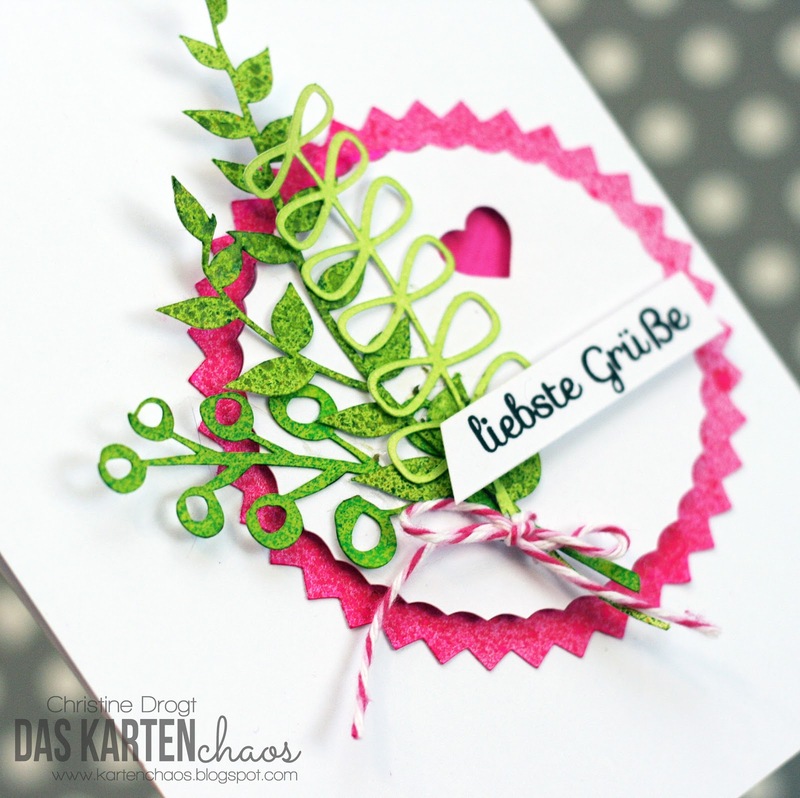 I used some paper scraps from create A Smile's Feel Good Paper Pack and used a new stitched-line die so make the scraps look as if they were sewn on to the card base. Just a little detail, you know? This is a super simple cards with lots of shapes cut with my Silhouette (The circle and frame, the heart, the plants). Super simple but bright and therefore kind of eye-catching. Bright pink with green might be a combo I love, even if I don't like pink a lot. I'll be back soon with more cards. Thanks for checking back! soooooooo love seeing you post...your style is incredible! So inspiring! Another bunch of wonderful cards! Gorgeous, all of them! Thanks for joining us at Little Red Wagon again. A lovely se of cards! 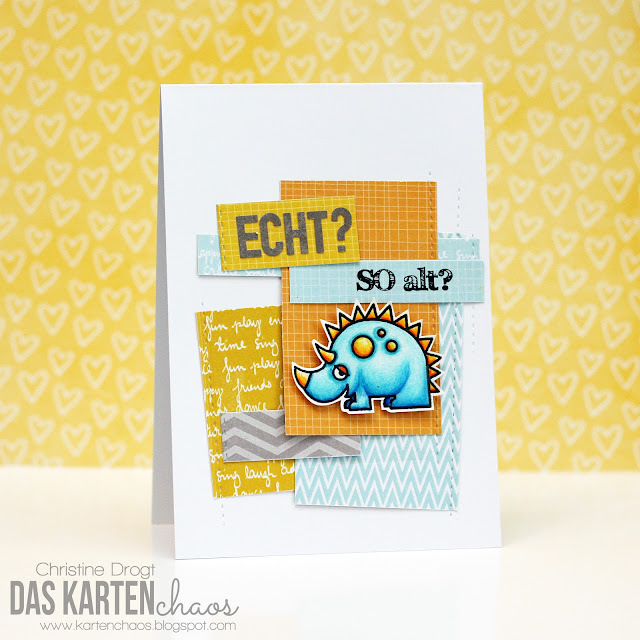 The little dinosaur is great, and the sentiment is perfect for it! Thanks for sharing it with us at Stamping Sensations. Brilliant eye catching cards. Love them all. Absolutely love the mushrooms. They are so eye catching. What a beautiful set of cards! I love your creative interpretation of our sketch on the third one - the colouring on the leaves also adds real visual interest too. Thanks for joining us over at the Paper Players this week! It is such a JOY to visit your blog, Christine! Your cards are absolutely gorgeous! 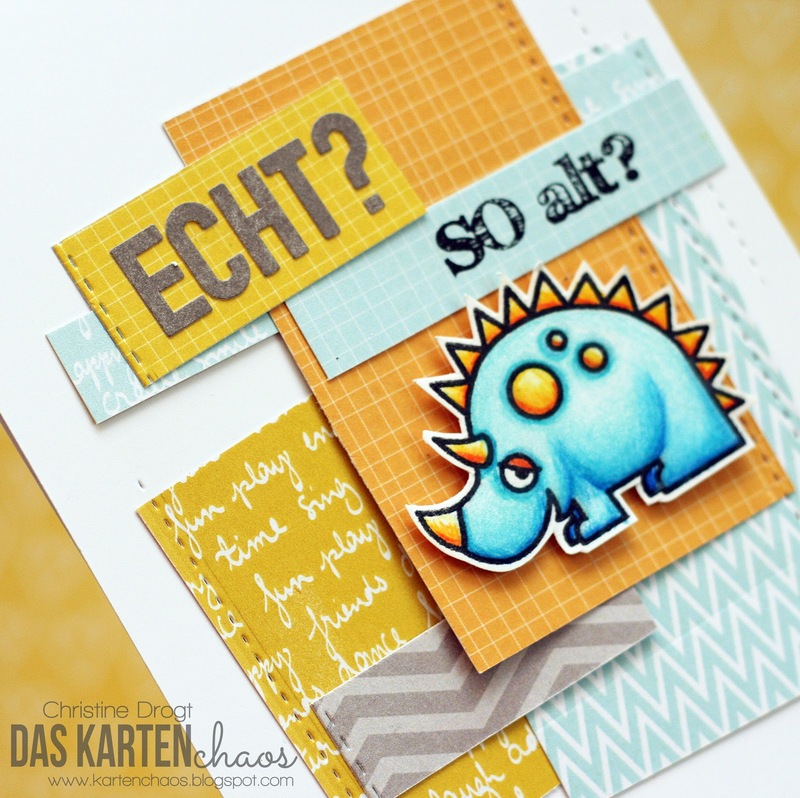 I love the whimsical feel of the first one and how you colored the dinosaur on the 2nd card! 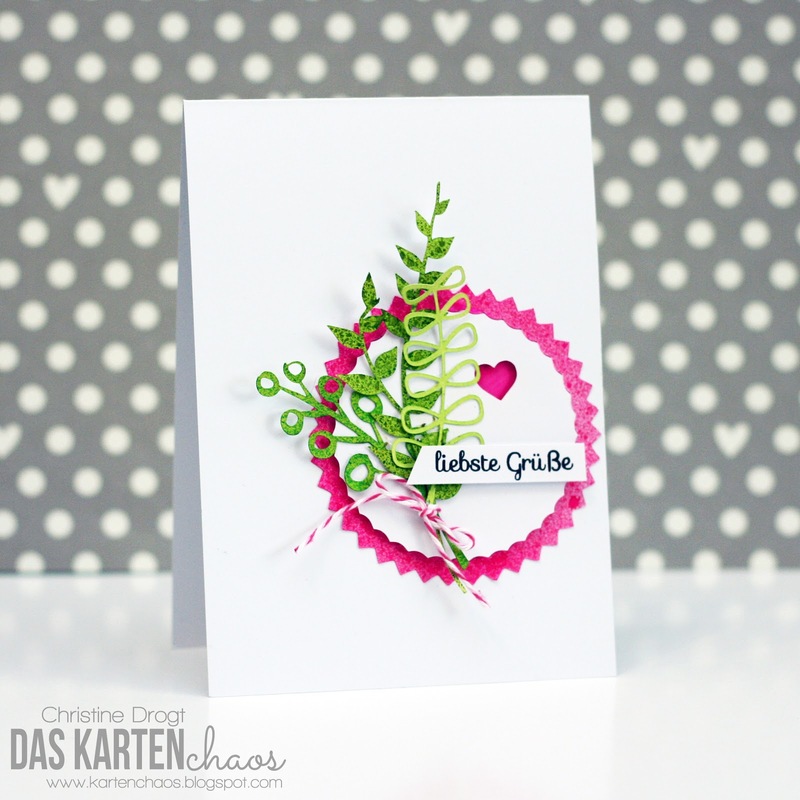 Your last card is so sweet and charming and I love how you played with all the shapes! Thanks so much for playing along with us this week at ATSM! Your cards are amazing...your coloring is so vibrant and intense! I love each one! Thanks so much for playing with us this week at the Players with your lovely floral creation! 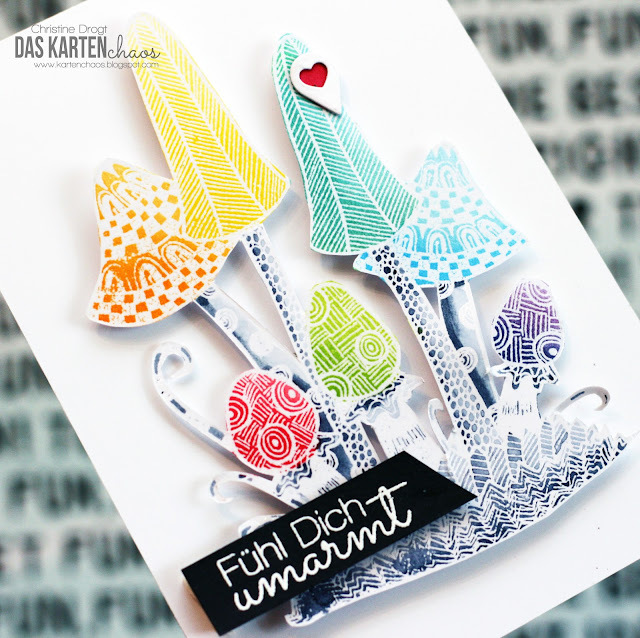 Love love love all of these cards!!! Your polychromo colored Dino is to die for!!!! I loooooove the rainbow and white embossing in the 1st!!! GORGEOUS creations!! Wow! Your work is amazing! LOVE the white embossing on the bright toadstools!! Thanks for playing along with us at CAS-ual Fridays! Das sind alles SUPER TOLLE Karten!!! Bin ganz verliebt!